We make it easy for our donors to donate via PayPal. Show your support and stand by those who are fighting MS.
No donation is too small… Every penny counts! Your donations will help provide Free of Cost medical assistance, medication, and injections to underprivileged MS patients in Pakistan. 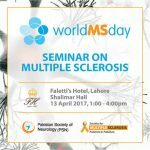 We have more than 250 registered MS patients from all over Pakistan and the list is growing daily. Follow our Facebook page for updates on medications sent by the Society for Multiple Sclerosis Patients in Pakistan every month. Medicined are sent completely free of cost to deserving patients. You can also Follow us on Twitter for latest updates and news from the Society. With your help, Together We Can Fight MS! * We do not charge any fees when taking donations. However, PayPal charges standard credit card processing fees. 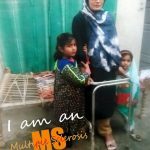 * When you make a donation, the Society for Multiple Sclerosis Patients in Pakistan will receive a confirmation of your gift as well as your contact information and email address. Your information will not be shared with any third parties. * We will not automatically add you to any mailing lists.